Marsh, James H.. "Grand Trunk Railway of Canada". The Canadian Encyclopedia, 15 June 2018, Historica Canada. https://www.thecanadianencyclopedia.ca/en/article/grand-trunk-railway-of-canada. Accessed 18 April 2019. In late 19th Century, the Grand Trunk Railway of Canada was the major railroad in the Province of Canada (Ontario and Quebec), connecting Toronto to Montreal. Ottawa, 1913 (photo by W.J. Topely, courtesy Library and Archives Canada/PA-10579). 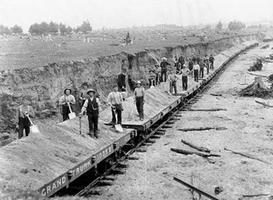 In late 19th Century, the Grand Trunk Railway of Canada was the major railroad in the Province of Canada (Ontario and Quebec), connecting Toronto to Montreal. 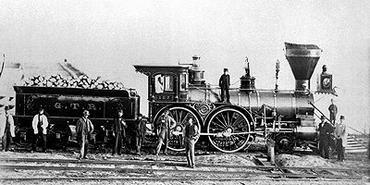 In the 20th Century, the British-owned railroad would stretch from the Atlantic to the Pacific. After a period of bankruptcy it would eventually become part of Canadian National Railways. The Grand Trunk Railway of Canada (GTR) is sometimes confused with its subsidiary, the Grand Trunk Pacific Railway, a 4,800 km system built in the early 20th Century from Winnipeg to Canada’s Pacific Coast. The GTR was incorporated decades earlier, in 1852, under the sponsorship of Sir Francis Hincks, to build a much needed railway from Toronto to Montréal. The English firm of Peto, Brassey, Jackson and Betts was awarded the construction contract in return for agreeing to promote the company. In 1853, the GTR merged with five other railway companies in eastern North America, a method of operating which was to characterize the GTR's major expansion periods. Much of the financing for both construction and expansion had to be raised in Great Britain. Work proceeded vigorously from town to town. Navvies, or labourers, from England swelled the workforce – at one time 14,000 men and 2,000 horses were employed in Canada West alone. The line avoided many of the challenges that plagued the Canadian Pacific Railway in the mountains, and achieved at least one notable engineering feat with construction of the tubular Victoria Bridge across the St. Lawrence River at Montréal. The 2,009 meter- iron tube rested on two abutments and 24 piers designed to resist the crushing ice of the river; it was opened to traffic in December 1859. Despite financial difficulties, the GTR grew steadily, often leasing existing railways as a means of expansion. The takeover of the Great Western Railway in 1882 enabled the GTR to eliminate its main competitor and to add another 1,450 kilometers of track in Canada West and Michigan. Additional links to the United States rail system were established with the International Bridge across the Niagara River, and the impressive St. Clair Tunnel beneath the St. Clair River. At Confederation the GTR was the world’s largest railway system, with 2,055 km of track. By the late 1880s it had grown to more than 700 locomotives, 578 cars, 60 post-office cars, 131 baggage cars, 18,000 freight cars and 49 snow plows. The GTR ran unbroken from the Great Lakes at Sarnia, to the Atlantic coast Portland, Maine. The cost of construction, absentee management (its head office was in London, England) and the failure to generate anticipated levels of traffic left the company debt ridden and unable to upgrade its equipment. It also suffered bad publicity in the wake of several accidents. On 29 June 1864, a GTR train plunged off the Beloeil Bridge into the Rivière Richelieu, killing 99 people. The GTR later made headlines around the world on 15 September 1885 when Jumbo, the famous circus elephant charged one of its trains near St. Thomas, Ontario and was killed. Between the mid-1890s and the First World War, the GTR invested in massive infrastructure improvements. These included double-tracking of the main line from Montréal to Sarnia, reducing curves and grades to improve operating efficiency, and reconstruction of bridges, buildings and yards. The scale of these investments was such that no major upgrades were needed until after the Second World War. Envious of the Canadian Pacific Railway’s thrust into the West, and eager to have its own transcontinental line, the GTR set up a subsidiary, the Grand Trunk Pacific, to finish a route to the Pacific. 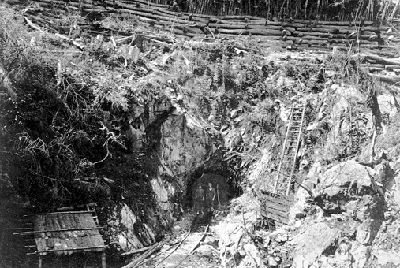 Completed in 1914, the railway was a financial disaster and was largely responsible for GTR’s bankruptcy in 1919. 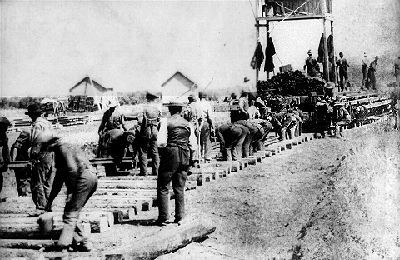 The federal government, which had already given the GTR some $28 million in subsidies and loans, took over the railway on 10 Oct 1919. 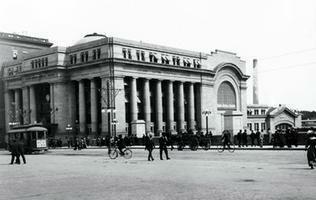 It was placed under the management of the Canadian National Railways on 30 Jan 1923. Today much of the original GTR line in Ontario and Quebec is still in use by Canadian National and Via Rail. A.W. Currie, The Grand Trunk Railway of Canada (1957).